According to the United Nations, world population reached 7 Billion on October 31, 2011, and 44% of them are using the Internet. And the Internet is a global computer network providing a variety of information and communication facilities, consisting of interconnected networks using standardized communication protocols.The Internet users do all of the stuff like Communicate with people through Chat, Calls, Video calls, Listening Music, watching Videos, movies, and documentaries, Reading E-Books, Papers, Articles.do research on any topics means “anything”, or just simply surf the internet. Privacy has become a major concern for internet users now days all around the world, thanks to Edward Snowden for creating this awareness all over the world. I don’t want to say that everyone is tracking you but it is not totally wrong.We have to worry about our Privacy or protect our identity, Protect our personal data and all the digital information we have saved on the net or digital storage when you browse online. In this article, I will discuss the possible ways that help you overcome all your concerns about online privacy and surfing anonymously. So now in this part of the Article, I am sharing some of the methods and tips and I am sure that these methods will help you to go Completly Anonymous. Web sites track visitors to serve ads so Always read the Privacy and policy before creating Account on any Websites. Social Media Track where you go so Take a look and do some required changes on privacy setting of your social media accounts. Naver trust on the Browser plugins because of most of them stores and shares user’s data. These are very common and basic tips that can make you aware about Your Privacy Settings and protection.Now some more tips and methods are as following. “If you have changed Your ip address then you are almost Anonymous and you don’t have to worry about Browser and other software.”An IP address is an identifier assigned to each computer and other devices (e.g., printer, router, mobile device, etc.) connected to a TCP/IP network that is used to locate and identify the node in communications with other nodes on the network. 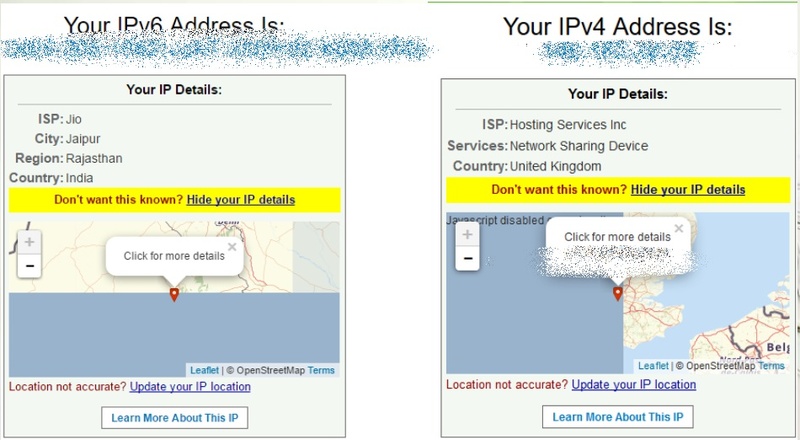 IP addresses are usually written and displayed in human-readable notations, You can check Your IP address just by searching “What’s my IP” on google or just by visiting whatismyipaddress.com.there are also some software which can change ip automatically but all of them are paid software.but i am sharing free ways to change ip address. Just search Free Web Proxies or Proxy Site on the search engine and you will find many of these sites.Most web proxies display advertising at the top part of the web pages. Some web proxies are very obnoxious about this. Open cmd with Admin permission and then Copy the first one and then press Enter and then copy the Second one and press Enter. I know most of the internet user loves Google but there are many search engine and some of them are very special.One of them are DuckDuckGo (DDG), It is an Internet search engine that emphasizes protecting searchers’ privacy and avoiding the filter bubble of personalized search results. DuckDuckGo distinguishes itself from other search engines by not profiling its users and by deliberately showing all users the same search results for a given search term. DuckDuckGo emphasizes getting information from the best sources rather than the most sources, generating its search results from key crowdsourced sites such as Wikipedia and from partnerships with other search engines like Yandex, Yahoo!, Bing and Yummly.so just change your Search engine or at least give it a try. It is the ultimate solution.If you are using Tor browser then you are completely Anonymous and you don’t have to do all the other setting and thing just surf Anonymously.The Tor Browser is all in one browser that lets you use The Tor software that protects you by bouncing your communications around a distributed network of relays run by volunteers all around the world: it prevents somebody watching your Internet connection from learning what sites you visit, it prevents the sites you visit from learning your physical location, and it lets you access sites which are blocked.Tor browser is available for Windows, Mac OS X, or Linux without needing to install any software. It can run off a USB flash drive, comes with a pre-configured web browser to protect your anonymity, and is self-contained (portable).The tor browser is an all in one tool that will hide ip, change ip, hide location, hide mac address, hide your data and information and much more thing without any special settings and procedures. If you don’t want to use above methods then There is some software that can help you to Surf Anonymously on the Internet but most of them are paid but here I am introducing two software with some unique features.if you will install both they will make you completely Anonymous but They will also make your net slower due to servers.So install them according to your need. Ultrasurf is a very tiny ( around 3mb size) but powerful tool and it is a product of Ultrareach Internet Corporation. Originally created to help internet users in China find security and freedom online, Ultrasurf has now become one of the world’s most popular anti-censorship, pro-privacy software, with millions of people using it to bypass internet censorship and protect their online privacy.The best thing about it is that it is that you don’t have to pay and also don’t have to play with the setting. » Compatible with Chrome and IE. PeerBlock is a continuation of PeerGuardian.PeerBlock lets you control who your computer “talks to” on the Internet. By selecting appropriate lists of “known bad” computers, you can block communication with advertising or spyware oriented servers, computers monitoring your p2p activities, computers which have been “hacked”, even entire countries!They can’t get into your computer, and your computer won’t try to send them anything either.And best of all, it’s free! If you want to Surf Anonymously on the Internet then you also have to Protect your messages and chats, And the Best way to do that is encryption of messages.Encryption of messages happens automatically, so there’s no need to do any setting, it’s trickier.here are some of the best encrypted messaging apps available now for Android and iOS devices. 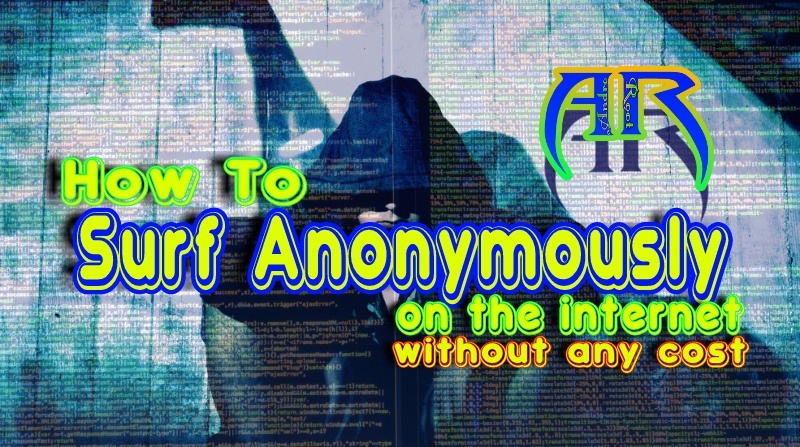 In this Post ” How to Surf Anonymously on the Internet without Any Cost ” We have discussed Internet privacy, Anonymous, Methods to hide ip, methods to change ip, Browsers and software to go Anonymous, Methods to Protect Emails and Messages and chats and I am repeating these topics because we have discussed about most of the task and how to protect our privacy in them.If I missed something or you have some good ideas then please share with us we will update the post and make this post more informative.This Post is for Educational and purpose only.I am not responsible for how you use this information.You should use this information for legal purposes.